The First One to Blink — Looses. This day off was scheduled two weeks ago – but rain (not good with top down) postponed the outing. 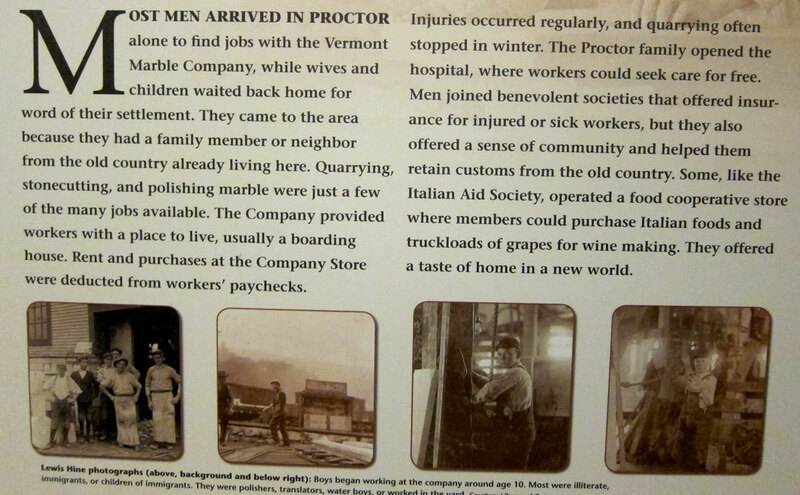 I have a fascinating week of learning coming up, and in preparation thought a visit to Proctor, Vermont, and the Vermont Marble Museum would be helpful. Only been in the parking lot before, never inside the museum in the old original factory buildings (you know I like old and original). What a perfect BLUE BELLE day, and the cloud cover dissipated upon our arrival about 10:45 AM, I spent about 2 1/2 educational hours inside while BB1 was puzzled outside — It was a Standoff !!! 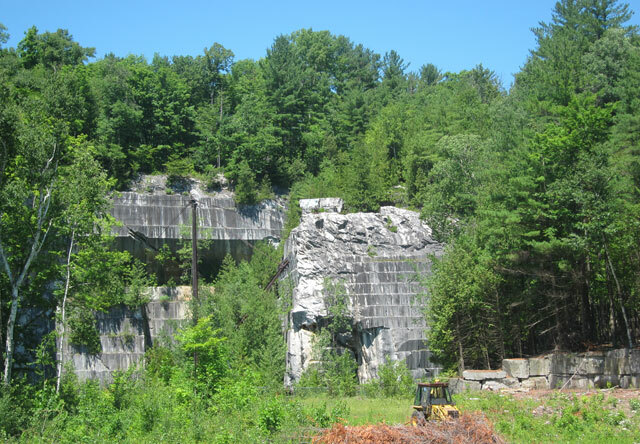 The Vermont Marble Company was the largest marble company in the US (maybe world, I forget) owning quarries all over the county – but with the work done in Proctor. 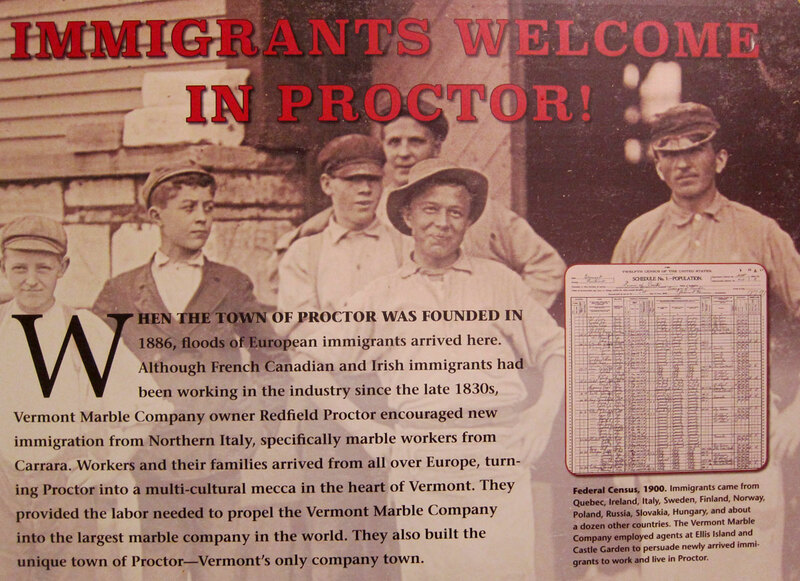 There had been many quarrying attempts in the area, but it was not until about 1886 that Redfield Proctor made it a success, developing a company town named for him. 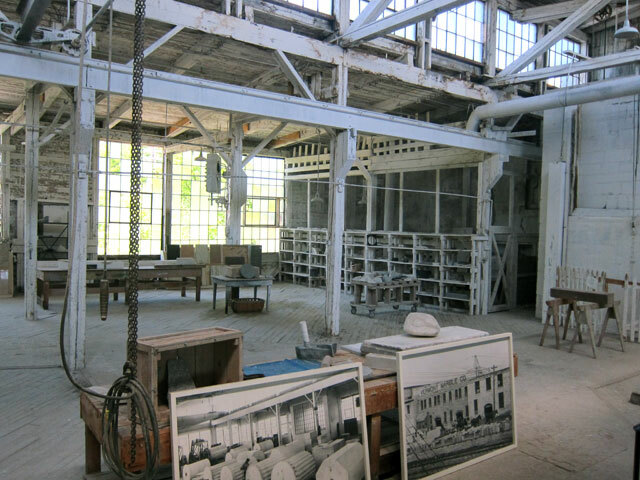 The exhibits and marble displays are in the old factory building, and this one section is as it had been used up until the 1980s-90s. So much history inside, I encourage you to visit. 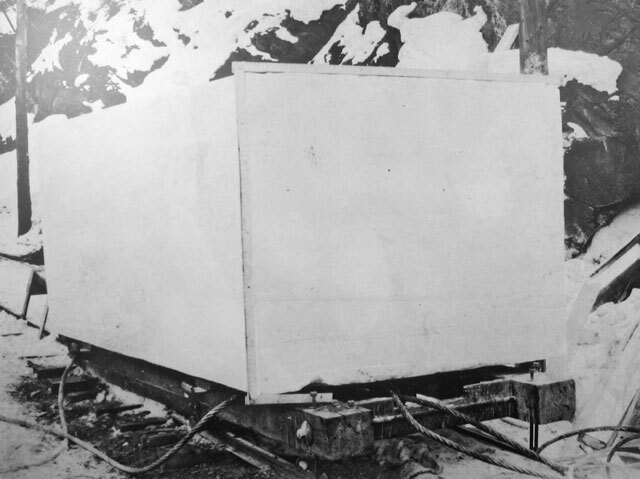 The Tomb of the Unknown Soldier was carved here from a 56 ton block quarried in Yule, Colorado (the largest block ever quarried in the US up to that time – 1930). Redfield Proctor was a US Senator from 1891 until his death 1908. It is no coincidence that many of the monuments and buildings in Washington, DC, are made of Vermont Marble from Proctor. Marble is used for so much more, as a mineral added into many things – you would be surprised how much marble is in building materials and household and food products. 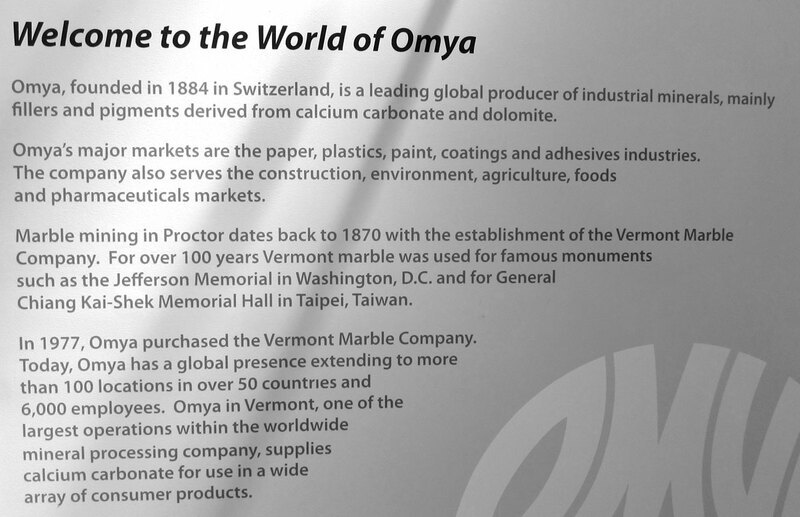 The company is now part of Omya and this room told all the uses for marble granules (over 100, maybe it was a 1,000 in the width of a hair once processed). Following is part of a display local school children developed to help document the town’s heritage. A history lesson here for our leader(s). If you cannot read the print, click for a larger image. there were two rocking chairs in this area, with plaques on the arms. I could not resist capturing these two to share with you. I will not show you all that was here about the quarrying operation, and the geology that formed the marble and granite in the area (my reason for going). But here are two placards with “fast facts” that I did not know that I want to share. I then toured the town and saw many of the company built duplexes for company workers. Just up from the museum is this abandoned quarry. 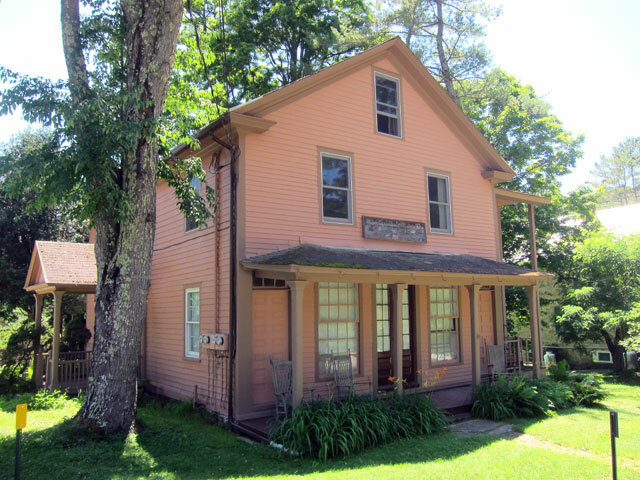 The bonus for this venture came from my re-looking at a favorite book from my personal library – ABANDONED NEW ENGLAND: ITS HIDDEN RUINS AND WHERE TO FIND THEM by William F. Robinson. 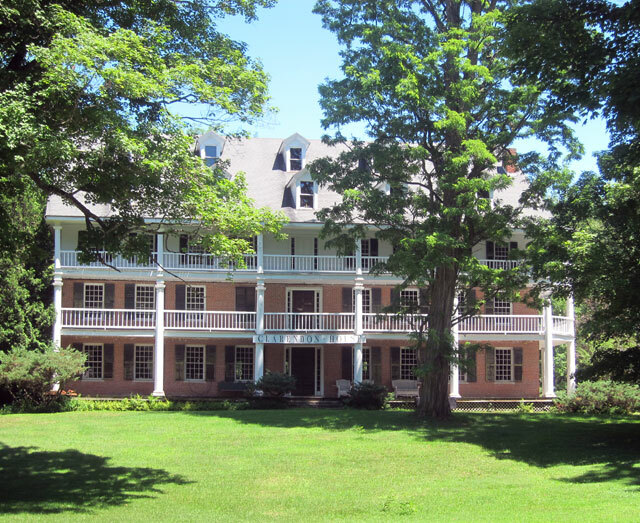 You know I love the old summer resort and vacation experience and historic inns, and hotels. 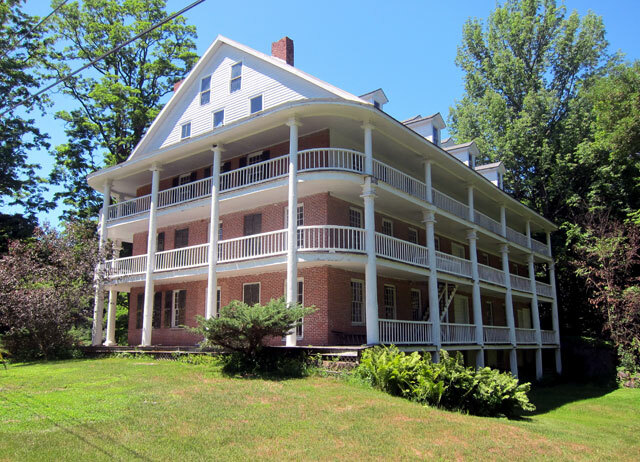 In picking up the book I turned to the chapter – Mineral Springs and Mountain Top Resorts. 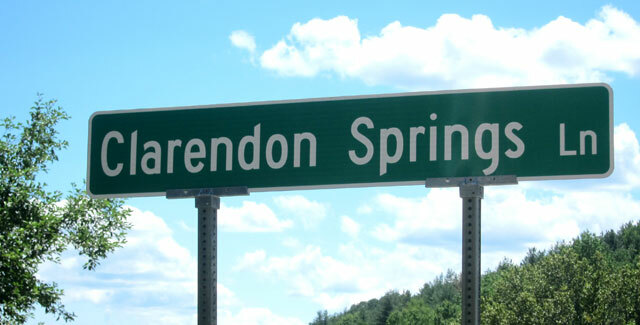 Goodness, there just below Rutland on a back road heretofore not explored by me was Clarendon Springs Hotel. 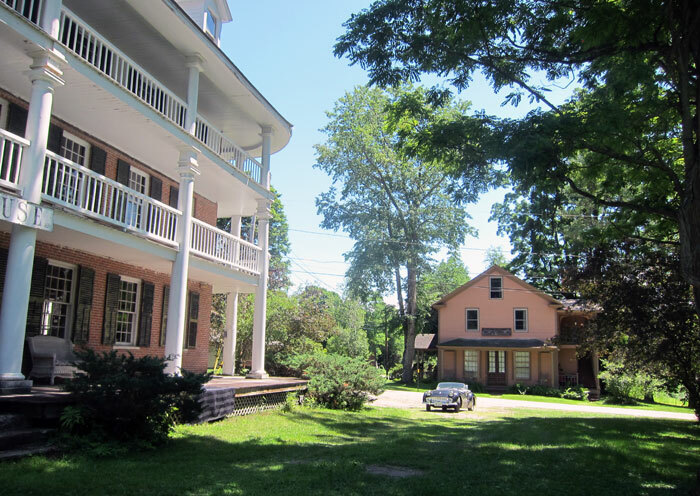 Further research on-line, and the 1834 hotel, grounds, other buildings, including country store – almost the whole village for 2.5M (gotta check another mattress). well, here is a map of today’s route (in part once in the area), so you can see Clarendon in an out of the way spot (circled) below Rutland, a tad west. more about the question mark later and the lower x in a circle. Having researched on-line, I knew what I was looking for, and up a hill, round a corner I spotted the hotel and this sign. and, what was to our backs? You know I have loved 19th century stores since my pre-teens. The C.E. Seamons Country Store closed in 1937.
to sweeten the deal, this home is across the street (and I did not take a picture of the modern “caretakers” home that is included). what is missing from this picture??? You will find the answer at the end of this post, and you better get tomorrow’s quiz right. and the backside. 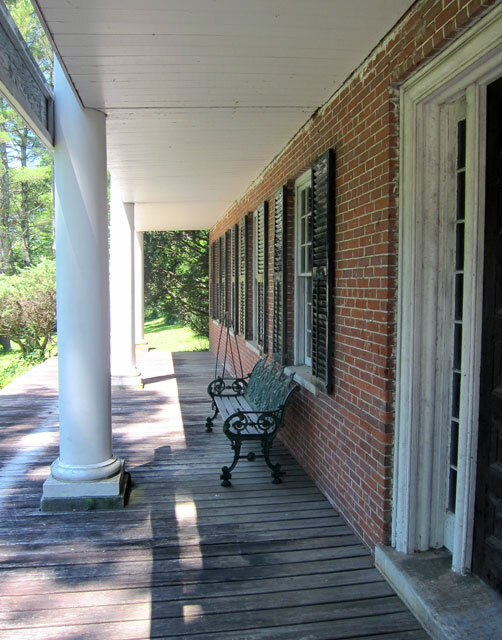 The grounds lead down to about 500 feet of river frontage. I stopped and talked to a mail-carrier. “Go straight, take the detour, and you will end up on Route 7,” she said. 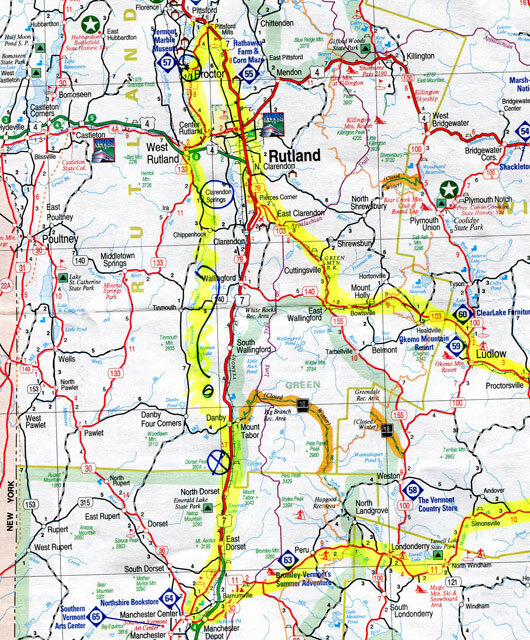 That is all I needed, you know US Route 7 is my favorite road (well I have some Class 5 and 6 Roads around I cherish, and a few in Walpole I will be working on getting designated Scenic Highways – always have to have a project or two). Still was not easy, but finally I got to Danby. 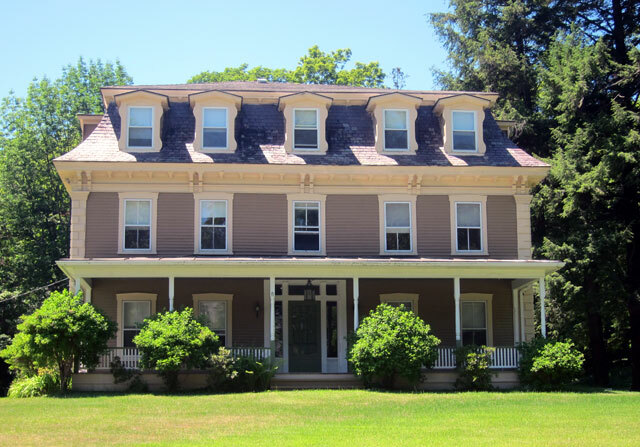 Of course you know that is where Pearl S. Buck lived her final years. And, just before I got to “7” there was a small sign – I had to go. 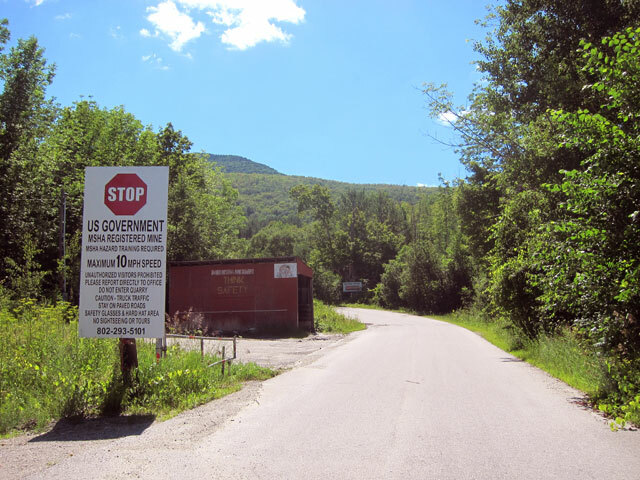 Under Danby Mountain is one of the largest marble quarries in the world. 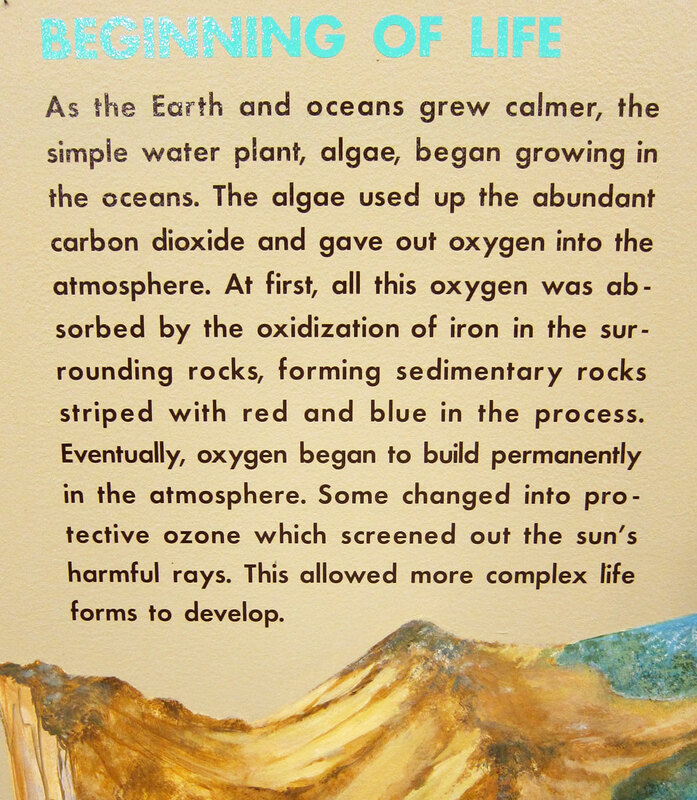 I knew of it, and just enjoyed the video of its operation at the museum. Oh, they have to let BB1 and me visit for sure — NOT — I decided to stop. Can’t believe they bring the blocks out on the small entrance road we found. It was then down into Manchester and Manchester Center. Tad hungry – found nice lunch spot and had an artichoke panini – at 3:40 – one traveling friend would not have liked that chow time. 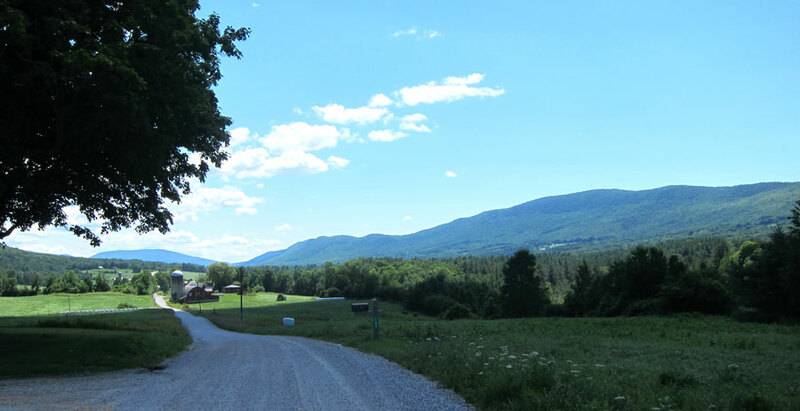 BB1 behaved well, and loved this long trip – longest since her quitting last August in Pittsfield, Massachusetts. BB2 gets new tyres (English spelling, of course) tomorrow at 8, so I better finish up and get a few hours sleep. 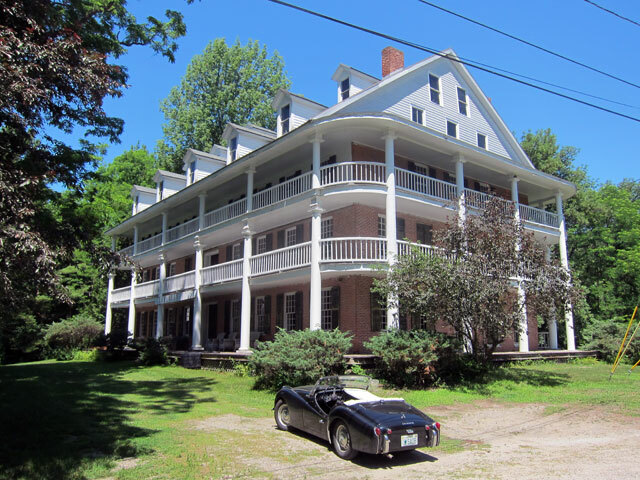 This entry was posted in Day (or maybe two) Trips and tagged Clarendon Springs, Clarendon Springs Hotel, Proctor, Vermont Marble Museum, VT. Bookmark the permalink. Really cool, happy you and blue belle had a very lovely and informative outing. As always interesting and fun reading! Nice Day for a ride, here’s a puzzler for you: Fletcher Proctor told me once the you need three things to quarry marble, Marble, Sand & Water. 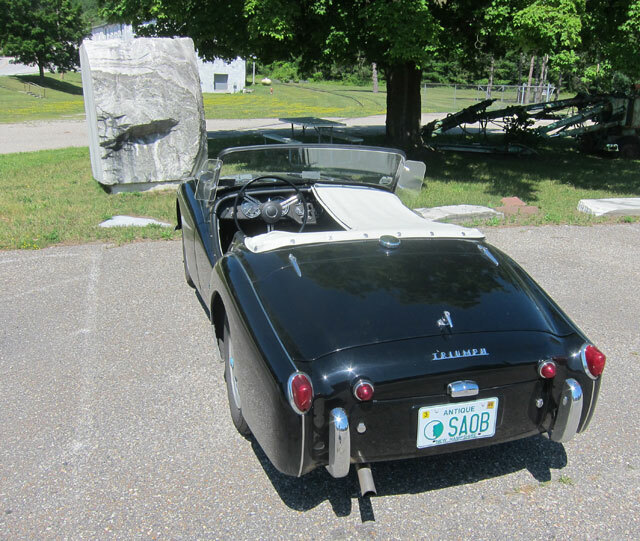 Hi Ray, Our friends in Danny, VT took us to the Vermont Marble Museum several years ago. We have a lovely green marble photo frame as a souvenir. Wanted to let you know I did ride the Virginia and Truckee Railroad from Carson City to Virginia City, NV. A 1916 2-8-0 Consolidation locomotive pulled two beautifully restored 1920’s era coaches along 24 miles of curvy mountainsides with spectacular views. At one point we came across a herd of wild horses and the stallion charged the train. Virginia City retains much of it’s Wild West character with wooden sidewalks and 19th Century buildings. A bit touristy, but the kitsch is part of the fun. Lots of characters in cowboy garb firing their six-shooters in the air and whooping it up. Yeeee-hah! So what is your week of learning you prepared for? Sounds like it might be something related to art… Great weather for you and BB1. 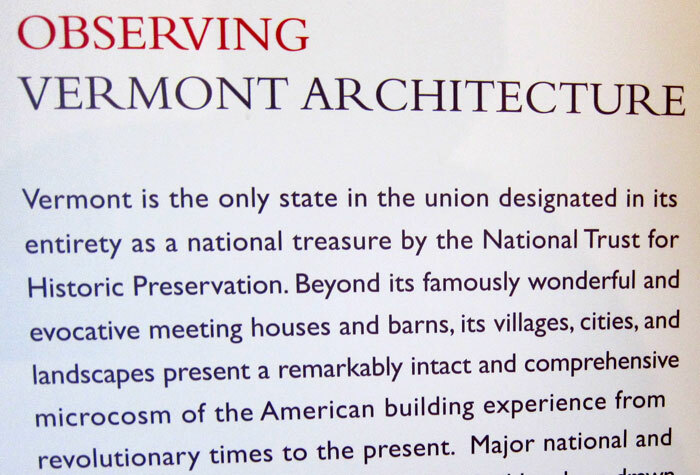 That sounds like somewhere we need to visit with all the information available there; I love museums like that. Did I miss “tomorrow’s quiz”? That Clarendon House looks beautiful. I can only imagine the activity there in it’s heyday-people going to and from the country store. Thanks for taking us along on your journey!